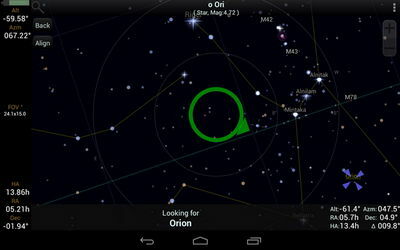 Experience the sky through the eye of your Android and get to know our universe. 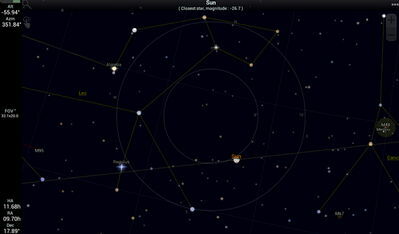 SkEye Pro will help you pinpoint stars, planets, constellations, and deep sky objects along with detailed information. It features a time machine, Real time Alt-Azimuth and Equatorial coordinates, Messier objects, mini-NGC catalog, Solar system objects including all 8 planets and the 4 Galilean moons, plus more to discover. Note that TLE data is not automatically updated. All stars upto mag 10 are rendered.